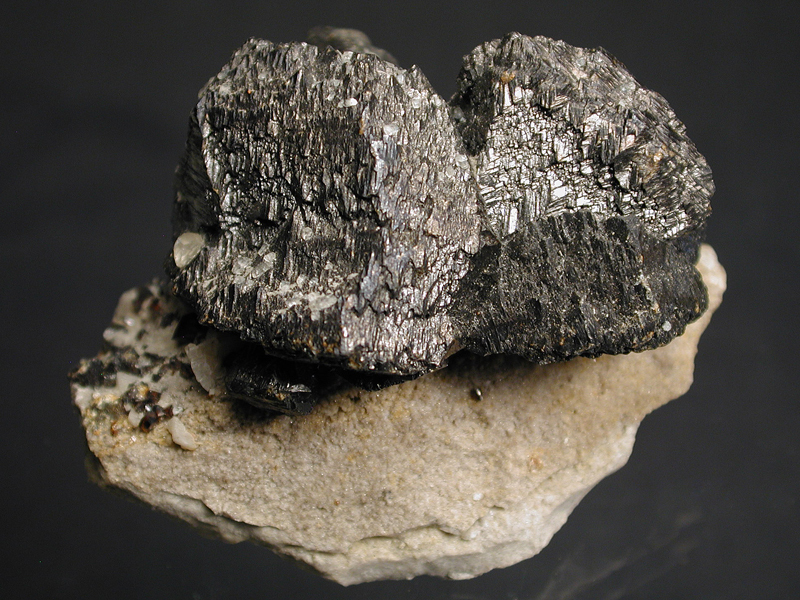 A couple of large, twinned, dark brown sphalerite crystals on limestone matrix. 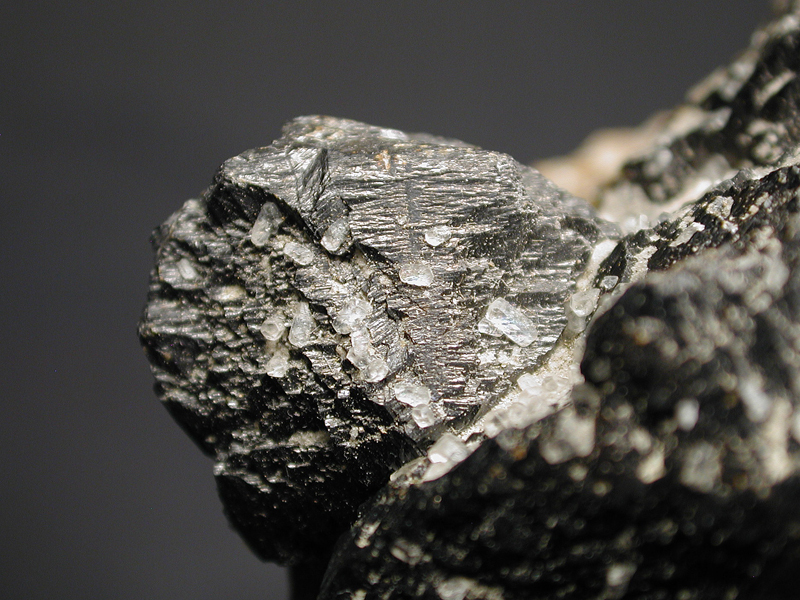 The sphalerites have little calcite crystals sprinkled on them. Nice!